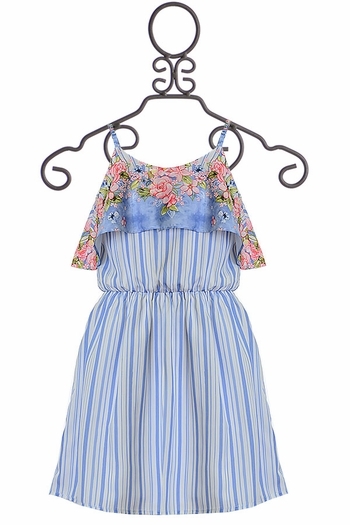 What tween doesn't love an effortlessy cute sundress?! 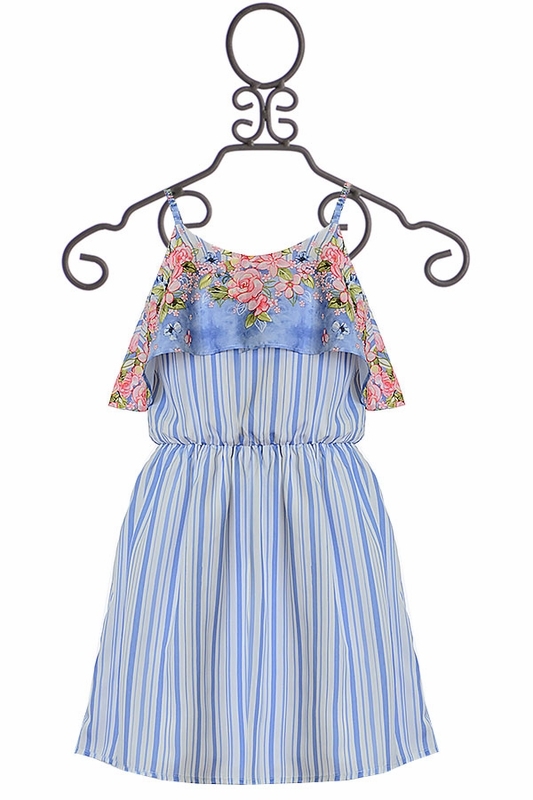 This lovely, classic style dress by Mayoral is one that is needed this Spring. 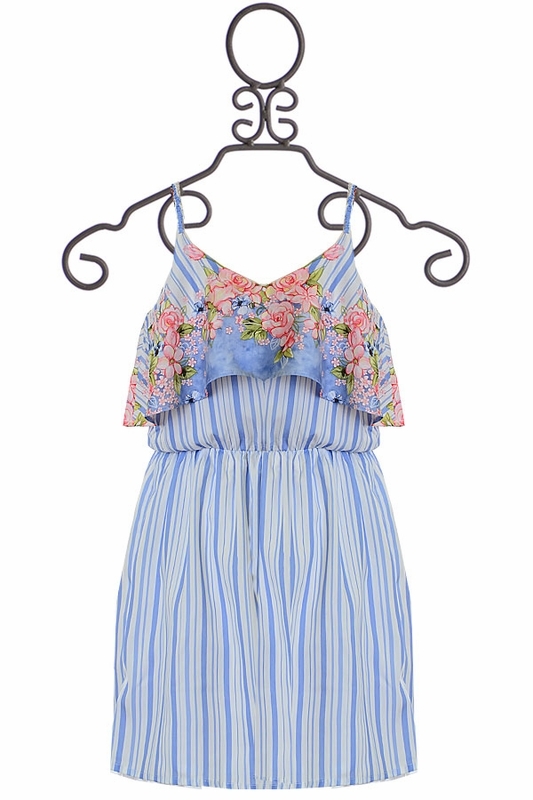 The sundress has sphaggetti straps and a ruffle top with a fun floral print. Elastic pulls in at the waist, then slightly flows out enough to sway with the breeze. 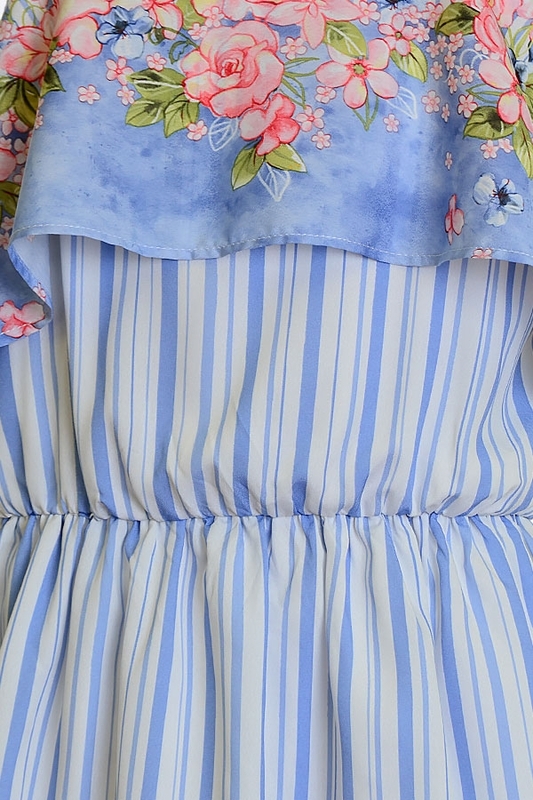 A nautical inspired stripe runs down the rest of the dress, making this the perfect outfit for beach family pictures. Dress up the outfit by pairing the dress with a fancy pair of flats or make it casual by pairing it with a jean jacket and a brown pair of sandals.